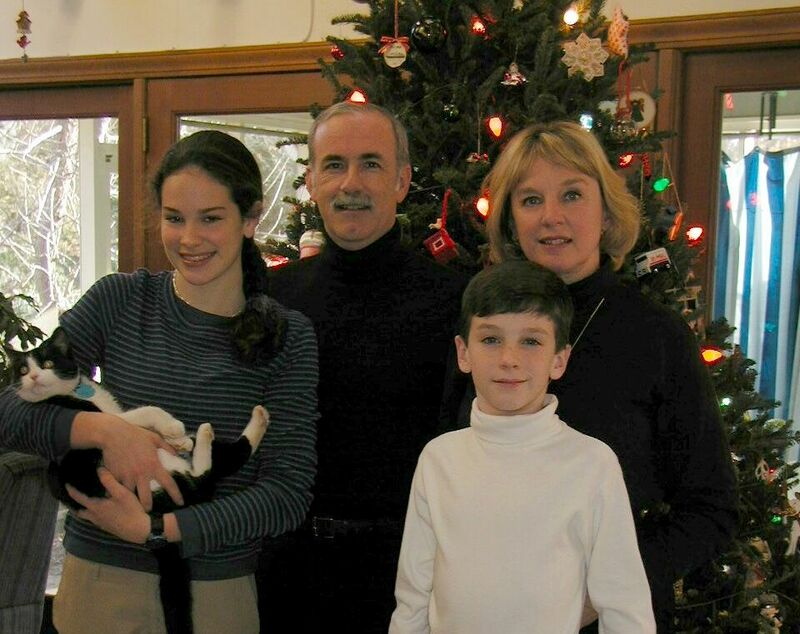 Many of you have, I'm sure, felt the loss of a family pet. I grew up on a farm, and once upon a time, I counted at least a dozen pets at once, between dogs, cats, and lambs. I moved out of state to go to college, and I've never lived again in my family home (though as of this writing, I still own a quarter of it - an inheritance from my parents' passing.) I therefore had a mental distance introduced by the time most of these reached the end of their lifespan. Post-college, I had a cat rescued from the street outside the chemical plant where I worked in New Jersey. He lived with me and my new wife about a year before a passing car took his life. I was very blue about it. That night, I made a rare call to my folks, to cry on their shoulders. (I grew up when long-distance calls were a strange and rare event, and I've never really shaken that background.) I had no way to know it - but that was going to be the last time I ever spoke to my father. He died the next day, from his second heart attack. Almost two decades of pet-less time followed. Finally, at the wheedling of our daughter McKenzie, second (and final!) wife Brenda and I made room for a kitten a few months old. As it was to be McKenzie's cat, she got to name it, and she chose "Titania" - queen of the fairies in Shakespeare's "A Midsummer's Night Dream." Later, a vet revealed we had miscast our furry friend as female; she was really a he! So Titania was rebranded "Titanius." And that's how our pet got his rather unusual name. When McKenzie went on to college, Titanius became my cat. We became quite close. After our move to our current home, it seemed he wanted more and more lap time, and if he wasn't seated on me, he wanted to be nearby. I returned the affection. reach, including under an inverted canoe. I even hung upside down in a storm sewer manhole, so I could peer down the pipe with a flashlight. No pussycat. Titanius had made the 5-mile move from our old home in good order a couple years ago, knew the boundaries of our property, and seemed perfectly content to stay within them, without prompting. (He was an indoor/outdoor cat.) I concluded that he had decided his time was up, and had gone in search of a quiet and private place to die. Nevertheless, I posted in the neighborhood Facebook page, in case he turned up. On the fourth day of his absence, I got a call from the far side of our subdivision. A cat answering Titanius' description was on the lady's back porch, eating her dog's food. Would I come have a look? Well, it was he. And he was blind. Suddenly, things made sense. He must have had a stroke or similar, gotten disoriented and lost. He was 3 pounds lighter and starving. I got him to a vet the next day, who confirmed the blindness. He was otherwise ok... but the vet noted that a 15+-year old cat was "a kidney disease waiting to be diagnosed." I had two more weeks with my friend. We were even tighter; I needed to ferry him inside around the house, and outside for nature calls, until he learned to navigate again - I suppose, by counting steps. But warning signs persisted, and on Friday afternoon before Sunday Christmas, I made an appointment for euthanasia on Monday. I was too late. I should have acted sooner. On Christmas Eve, Saturday, about the time we were leaving for a Christmas party with old friends, Titanius had a fit. His limbs jerked spastically, and he couldn't stand. He mewed pitifully. 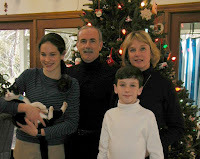 I sent the rest of the family ahead, and I held him closely until he shook off the fit three hours later. It left both of us drained. On Christmas he had some smaller fits, but much of the day was peaceful, and we were able to enjoy having the whole family collected for the day. We normally shoot a family portrait each New Year's Day, but we moved it up to be able to include Titanius one last time. 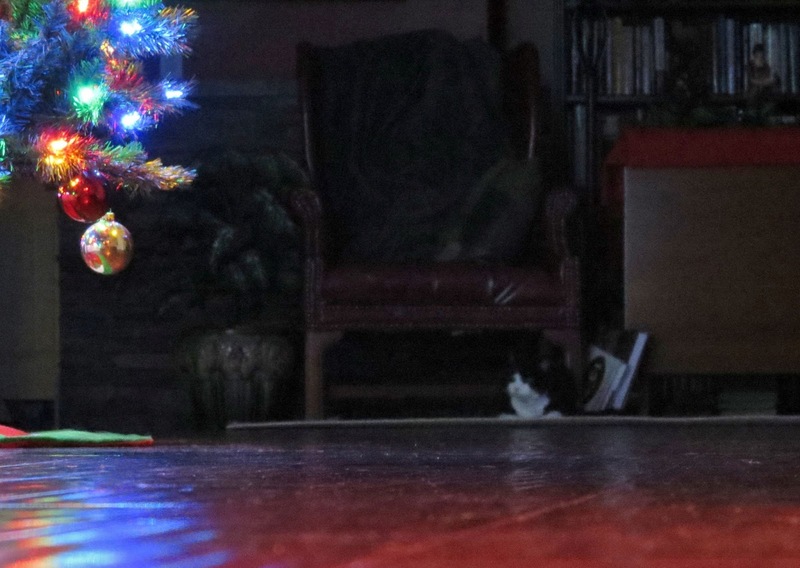 picture of him, lit only by tree lights. It was his very last picture. I didn't know until the morning that as soon as I left, he crept to McKenzie's door and cried. She came out and slept with him on a mat on the floor, where I found them in the morning. Going to a vet for euthanasia services is a very trying experience. I don't recommend it. A couple weeks later, I got this little box with his ashes. It has spent the last four months at my feet while I am in my home office. I waited for a hopeful Spring day to bury them. Now a small rock cairn will remind me of the little fellow who for fifteen years was a part of my family. He is under a river birch, where I can see him from the kitchen window. 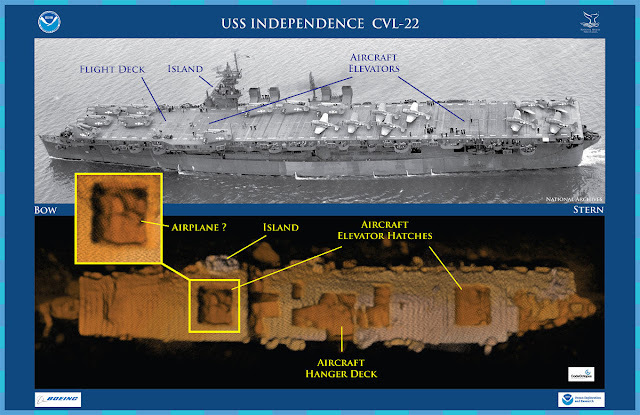 Recently I had occasion to read about the discovery of the remains of the USS Independence, an American veteran aircraft carrier that fought in WWII. As I had never heard of its fate, I was interested and began to delve. I've long had a special fascination with the Independence-class light carriers. When I was wargaming in miniatures 35 years ago and just beginning accumulating a 1/2400 fleet (1" = 200 ft), I built myself a USS Independence from balsa and cardstock. 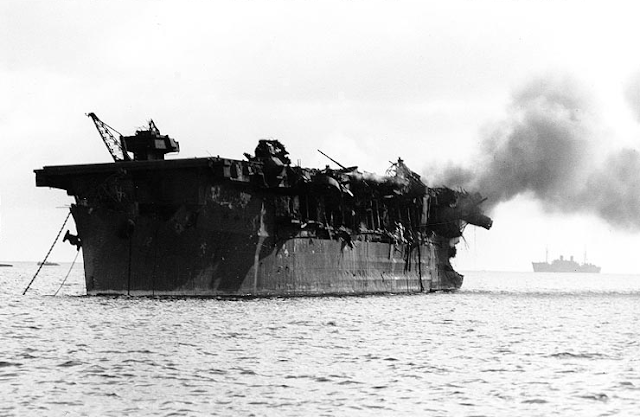 The Independence wore hull number CVL-22, and it was the lead ship of a class of nine "light" carriers in WWII. They were all constructed from repurposed cruiser hulls, which meant they didn't have the internal volume to match "fleet" carriers, and they carried a reduced air component of 30-33 planes. The great virtue of the class was that the ships could be completed quickly from hulls already in production for the CL Cleveland class of light cruisers. This was in a period when Essex-class fleet carriers were not yet coming off the lines. These light carriers served with distinction during WWII. The USS Princeton was scuttled after incurring severe battle damage, but the others survived the war. On July 1, 70 years ago today, the first of a planned series of test explosions was triggered; this was called the Able shot. It was a plutonium bomb pretty much identical to the one we had dropped on Nagasaki, and it had a yield of 23 kilotons of TNT. (It was one of only seven atomic bombs in the world at that time.) 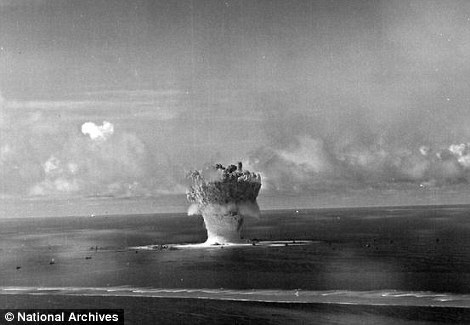 This bomb was aimed at the middle of a fleet of 78 ships moored in Bikini Atoll's lagoon. Many of these were surplus naval vessels; others were captured from our opponents (including Germany's Prinz Eugen, which accompanied the battleship Bismarck on its last voyage). Able was dropped from a B-29 flown by a carefully trained crew. We still don't know, however, how it managed to miss its aimpoint by such a very large margin - almost half a mile! As it turned out, only 5 ships were sunk, the largest of which was the ex-Japanese cruiser Sakawa. 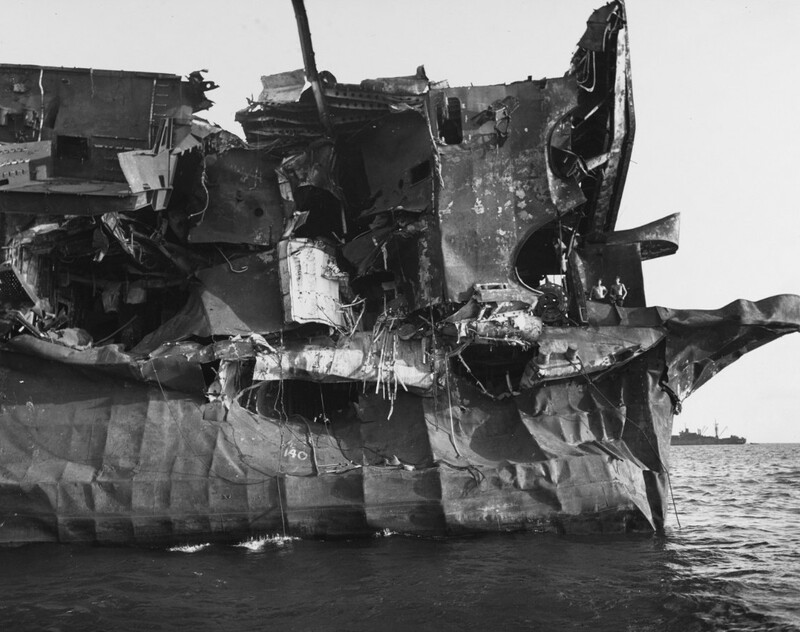 The explosion occurred at 520 feet of altitude and 560 yards away from the Independence, on her quarter. The blast wave maimed her... but she was still there. Note the two crewmen posing, about halfway up. Because the explosion was sufficiently high, there was no local fallout - all the radioactive isotopes from the bomb were sucked into the stratosphere and dispersed. Sailors boarded the ships the next day. Some thousands of assorted animals had been tied or caged in normal crew duty stations aboard 22 of the ships. Only 10% died due to blast and 15% died due to the single pulse of neutron radiation. The Independence was again moored in the lagoon for the second test, Baker shot, 24 days later. Baker was not dropped, but was suspended 90 feet underwater. 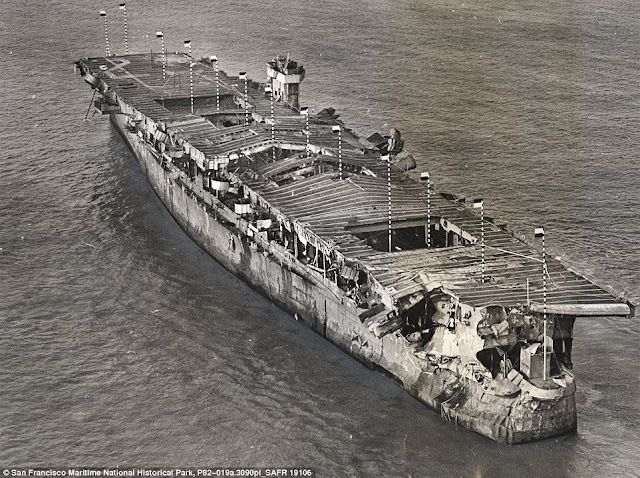 This time Independence was over 1200 yards away and escaped further damage... but - she was heavily contaminated with radioactive seawater and coral and other debris from the underwater shot. She was selected for a concerted program of testing decontamination techniques over the next four years - which failed. Nothing ever tried was successful in removing the contamination beyond what the original hose-down managed, except for sand-blasting down to bare metal. The radioactivity among the anchored fleet was so pernicious that the remaining planned underwater test was cancelled. The Baker test remains a black eye on America's nuclear testing program for its unanticipated results. Only nine of the 78-ship fleet were lightly-enough contaminated to be sold for scrap. The rest sank from the explosions or were scuttled when decontamination attempts failed. Accordingly, authorities decided to deep-six the Independence. Many drums of radioactive wastes were loaded aboard her, then she was towed to the Farallon Islands about 30 miles west of California, in Monterey Bay, and scuttled in 1951. There she rested for over six decades in quiet and darkness. In 2015 an effort by NOAA and Boeing Corporation imaged the remains of the Independence in 2,600 feet of water. They were able to conduct high-definition multi-beam sonar scans, which reveal that the ship settled upright. 'After 64 years on the seafloor, Independence sits on the bottom as if ready to launch its planes,' said Mr Delgado, chief scientist on the Independence mission and maritime heritage director for NOAA's Office of National Marine Sanctuaries. July 1, 1946 didn't belong only to the USS Independence, but she survived the first of two atomic bombs at close range on that date. And now, thanks to advancing technology, we've located her again, where from her watery grave she still projects an amazing sense of readiness. This year there was a lot of activity among my Facebook friends on Veterans' Day, to remember fathers', sons', and even their own days in uniform for their country. 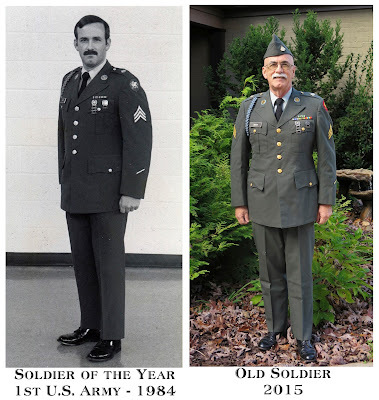 That put me in mind of the uniform I hung in my closet in 1988 when I mustered out of the US Army Reserve, and I wondered: Why do I still have it? I probably can't even fit into it. Well, I'm proud to report that, with a little "sucking it in," I can indeed still don my uniform! (I also can do my age in push-ups, which means I can beat my best boot camp performance by five!) So I felt compelled to brag here, because I don't know at what age I'll go to seed and lose what fitness I've retained. That's my excuse, and I'm sticking to it. On Halloween (continental U.S. time), 1952, American scientists exploded the world's first hydrogen bomb. Called Ivy Mike ("Mike" being the phonetic for "M", and Mike being the first bomb design planned to reach megaton yield), this was lit off on the island of Elugelab. Elugelab was one of the 40 islands comprising the outer edge of the Enewetak Atoll, and it was vaporized. Mike was impractical as a weapon. It used a liquid deuterium fusion fuel (deuterium is a heavy isotope of hydrogen) and consequently the whole apparatus had to be cryogenically cooled to not far above absolute zero. A whole gas liquefaction industry had to be founded in order to make this possible. The U.S.A. had felt itself to be in a race with the USSR for a fusion weapon - not for reasons of national prestige, as in our Moon program, but as a deterrent against attack. The military had felt pretty good about its nuclear inventory, until in September, 1949, American "sniffer" planes picked up radioisotopes over the northern Pacific which had their origin (as measured by their proportions and their known half-lives) on the same day - meaning they were formed in the heart of a nuclear explosion. In fact, the American commercial company that developed the analytical techniques and had been working with routine samples for months was able to specify nearly the exact time of the explosion; they were only off by 1 hour, though the explosion had been a couple weeks before. Suddenly, we no longer had a nuclear monopoly. And no one trusted Joe Stalin not to use, or at least, threaten to use, his new capability. American scientists decided we needed a hurry-up program to move up to a fusion bomb, which had been proven theoretically possible years before. They had been sitting on a proposed design, called "Alarm Clock" but it was still just a theoretical mathematical construct. The work was slowed but improved by the invention of the Ulam-Teller design (named after the physicists who came up with it). Instead of explosive compression of the deuterium, they would use the shock wave of the fierce radiation from the fission bomb to compress the fuel faster and better, leading to better ignition and yield. The Ivy Mike shot was fired without a hitch. To help analyze the physical processes as they happened, engineers constructed "light pipes" into the side of the device and then led that light down a 9,000-foot plywood tunnel containing helium-filled polyethylene balloons to a fortified bunker on another island, where instruments would measure the light and neutron fluxes before the fireball vaporized the whole thing. Ivy Mike yielded 10.4 megatons, meaning the explosion was equivalent to 10.4 million tons of TNT going off at once. It was 1,000 times the power of the bomb that destroyed Hiroshima. The explosion left a crater 200 feet deep, erasing the island of Elugelab. Here is a Google Earth image of the site (which is the northernmost part of Enewetak in the first picture.) I've drawn a diameter which shows it to be almost a mile across. The crater to its right is from H-bomb test Castle Nectar a little over 6 months later (1.7 Mts). The small fish-shaped island just to the east of that is Bogon, home to a small atomic weapon blast: Seminole (13.7 kilotons). You can see the difference in size of craters.